OUT 100 2009 honoree Kerry Eleveld’s weekly column for The Advocate, View From Washington, covers progress on DADT repeal and my recent excusive interview with Brian Bond, deputy director of the White House Office of Public Engagement (a.k.a the White House LGBT liaison). Pam Spaulding of PamsHouseBlend was the blogger who managed to snag Bond outside of the entirely controlled confines of a written interview. Not sure why all the love for the Tar Heel State – where Spaulding is also based – but it’s most notable because Bond has proven to be an almost invisible presence given his position in the Office of Public Engagement. His sudden emergence leaves one wondering if administration officials sense they have a PR problem on their hands with LGBT Americans. 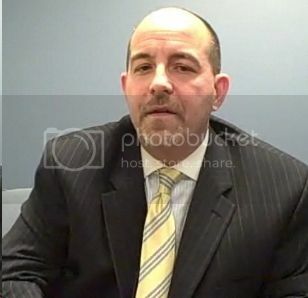 Bond is not the highest-ranking gay official to go on record to date – John Berry, the director of Office of Personnel Management, has granted several interviews. But knowing what I do about how press-shy Bond is, I would be inclined to think he has been pushed into the spotlight by forces greater than himself. What’s worth noting here is that none of Obama’s inner circle has agreed to an interview with the LGBT press yet, let alone the commander in chief himself – who has granted a series of interviews to other constituencies’ news outlets. You’d think that this position, based on the title, is one that involved traveling around to meet heads of state equality organizations, local orgs that may receive federal funds, regularly meeting with LGBT journalists, to show the official Obama administration’s face to our community, and to take information back to the administration. That Bond appeared at Equality NC’s Conference as a keynote speaker is a good start, but where’s a press release touting this outreach to let others know he’s available for similar events to do Q&As with average people out there? Where’s the digital suggestion box for LGBTs to inquire about policy with this position? How is social networking, clearly another way to connect to the grassroots, being leveraged by this position? What about liveblogs or webcasts? This isn’t occurring, and it may be part of the problem the administration has in 1) conveying a clearer understanding of what progress is being made and where it is stalling (and why), and 2) understanding that the lack of information only causes people not in-the-know (which in this case would be most in the community) to fill in the blanks with speculation and conspiracy theories. As it stands now, what information we do receive comes via the e-blasts from the Press Office or the occasional question answered by Press Secretary Robert Gibbs (and we all know the quality of those answers to date). In any case, it would be good to see some follow through to develop the “Deputy Director of the White House Office of Public Engagement” into more than a lofty title by putting into action some of the basic communications mentioned above — certainly technology in the Obama campaign wasn’t lacking — and plain old availability to the LGBT press.